Klasmata is a single channel, voltage controlled version of the Stoicheia Euclidean sequencer from Rebel Technology. 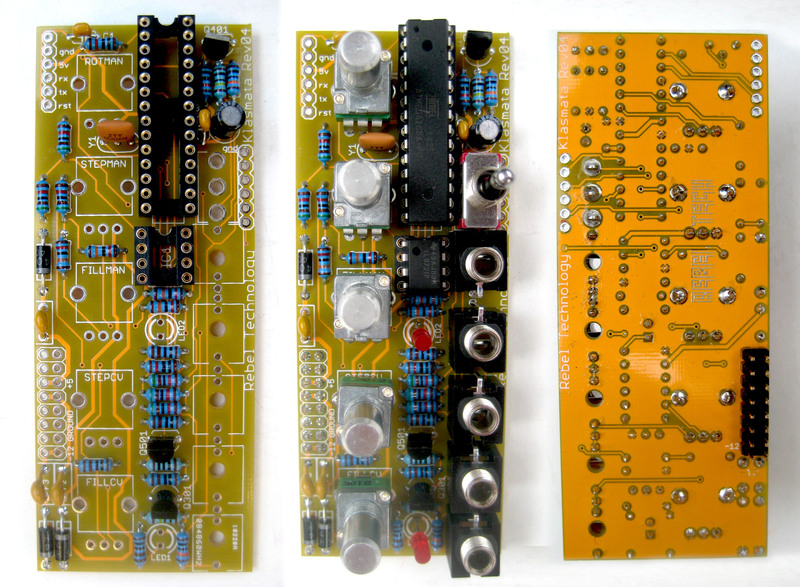 This is a full kit set in the Eurorack format. These are Thonk created kits - now available from within the US! Κλάσματα is a single channel, voltage controlled version of Στοιχεῖα. These kits are put together and graciously supplied to us by Thonk - you can now get the same Thonk quality kits you're used to now shipping from within the US!